I’m a big fan of Jim Gaffigan and a faithful viewer of The Jim Gaffigan Show. The show is in its second season on TV LAND during a time slot that is unbeknownst to this avid DVR aficionado. I think it airs sometime on Sundays following reruns of Everybody Loves Raymond while preceding reruns of itself. Anyway, The Jim Gaffigan Show is a family affair, as it is written by Jim Gaffigan and his wife Jeannie Gaffigan. When you talk about The Jim Gaffigan Show, you end up writing the word Gaffigan way too much. Rumor has it, if you write Gaffigan three times in the same sentence, a pastrami sandwich magically appears. Those rumors are so far unsubstantiated. Along with writing each episode, Jim and Jeannie are also executive producers of the show. While Jim stars as himself, his wife is aptly played by Ashley Williams. I guess Jeannie couldn’t find a way to clone herself and also star in the show while writing, executive producing and raising 5 kids…and yes I’m assuming she does the primary heavy lifting when it comes to organizing the family. That’s not a sexist remark in the Gaffigan world, that’s more of a compliment. Besides creating the show, Jim and Jeannie seem to spend far too much time on social media creating hashtags and internet buzz about their latest episode or dinner date. When I say far too much time, that is what is known as a “normal amount” of time to most Twitter users. Anyway, they are a busy couple creating a creative show while also promoting a positive faith expression in the world. They are Catholic, but you might have guessed that spoiler at the mention of 5 kids. 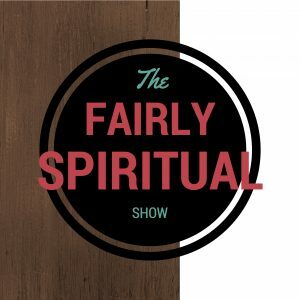 As a pastor, it is refreshing to watch a show that doesn’t relentlessly belittle the fact that some people actually have a sincere faith in God. Their attempt to present faith in a non-toxic, even frequently positive light is refreshing. This was particularly true in this season’s episode, “The Calling,” when Jim questioned his calling in light of his priest’s willingness to abandon fame and success to pursue the priesthood. In the second season of The Jim Gaffigan Show, I’ve appreciated the freedom Jeannie and Jim seem to be feeling in pursuing a more surrealistic approach to plotting each episode. In fact, some of the episodes have a progression that is almost Kafkaesque as Jim follows an increasingly absurd path through each storyline. This has led Jim to almost nightmarishly surreal situations such as ending up the defendant at a Twitter trial to performing stand up in front of a bathtub full of bloggers. If this plot trend continues, we may need to refer to this form of comedy as Gaffiganesque. Regardless, the creativity makes The Jim Gaffigan Show refreshing to watch as each week we stumble through the fog with our protagonist. Which brings me to the last three episodes and my nagging struggle with the recent direction of the show. This week was the conclusion of the three part episode “No Good Deed.” For those of you who haven’t seen it yet, I’m going to give you an overarching summary that really won’t give away that many spoilers. The three part episode felt basically like a live action portrayal of what it would be like if Charlie Brown, played by Jim Gaffigan, grew up and became a comedian. Except, instead of having an understanding friend like Linus, Charlie Brown, I mean Jim Gaffigan, gets to be repeatedly humiliated by the world’s worst friend, Dave Marks, played by Adam Goldberg. 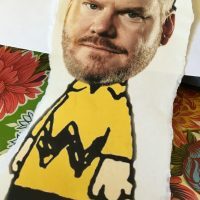 The show actually had nothing to do with Charlie Brown, but it left me with that same anxious everyone’s-calling-Charlie-Brown-a-blockhead feeling as I watch Jim Gaffigan go from one humiliating, degrading experience to the next. Although the humiliation of Jim Gaffigan has always been a reoccurring theme in The Jim Gaffigan Show, it was a relentless theme in the last three weeks, with each plot turn leading Jim to a level of greater disappointment and professional misery. Eventually, and I won’t give away the end, the trauma ceased. To be honest, I was relieved when the three part episode ended. It was well done trauma, but it didn’t necessarily give me that good of a feeling; which is why I’m writing this post and why I’m struggling with the direction of the show. I want to be supportive, but I also want to point out a possible problem with the current direction of The Jim Gaffigan Show: it still needs to make people happy! I was trying to process why I had such a difficult time while watching three consecutive episodes of Jim Gaffigan facing increasing humiliation and trauma. It bothered me, because I like him. I’m a fan and I don’t want to see someone I like face relentless hardship, even fictional hardship. Or if they do face fictional hardship, I want to see some sort of redeeming payoff at the end. This is why I love comedy; comedy is all about dealing with pain, trauma, awkwardness, rejection, humiliation and all the other problems humans face. Some of the best comedians bring us into their world of trauma. They talk about their struggles with how they look, act, feel and exist in the world in such a way that we can laugh at many painful things. We know it is ok to laugh at their painful stories, because they are presenting those stories for the purpose of making us laugh. That is one of the goals of good comedians, they take whatever has happened to them and transform it into entertainment. Their trauma is transformed into entertainment and becomes something that transcends the original experience. It is a rather amazing talent, to take life’s trauma and turn it into entertainment or even into a living. Jim Gaffigan’s standup is extremely approachable, about everyday life and everyday experiences. When he speaks of himself, he usually makes fun of his body, health and eating habits. He makes these observations in a way where we can laugh along with him. When he tells a story about rejection in his comedy routine, he has taken that rejection and transformed it into a portion of his set that will give others joy and will most assuredly make him happy and probably a little wealthier. When he tells the story, we can laugh along with him. The story telling in The Jim Gaffigan Show has a different feel. Instead of experiencing a joke, we end up experiencing a trauma. We see the guy we like repeatedly treated poorly by the people around him. He is treated poorly, but there is no payoff joke in front of an audience. 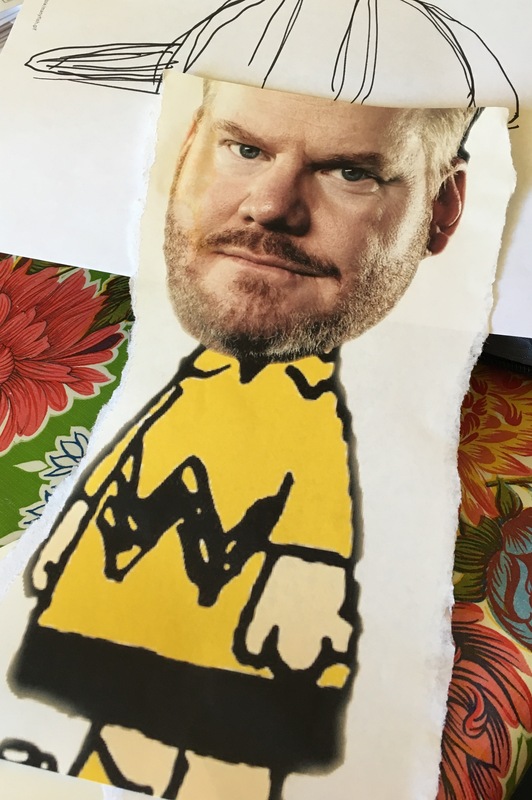 Instead, we get a sad or confused Jim Gaffigan, rejected by the world. To me, this is a possible weakness with a husband and wife writing team. Jim certainly might find being rejected funny and his wife might find him being rejected funny, but I don’t know if the fans find it as funny. I think fans need to see a little more pro-protagonist in the plot line. We need to see some sort of positive payoff for all the trauma; something good Jim gets out of spending all his time with a terrible friend. There needs to be something that he takes away from this that gives him joy and also gives us joy along with him. In other words, we will be more willing to go through the trauma with Jim, because we know he will gain something from the experience, such as a joke or a good punchline or something that makes it seem believable that he would actually hang out with Dave Marks after those last episodes. This might all be my problem, but I didn’t really enjoy watching Jim Gaffigan be relentlessly rejected. It didn’t seem believable for one of the most successful comedians in America to be treated that way. I can understand being misunderstood or being quirky, but I don’t know if rejection is the best route, unless the show can demonstrate how Jim feeds off this rejection to become a better comedian. Regardless, I’ll keep watching as The Jim Gaffigan Show is still one of the most interesting and creative shows on television today that doesn’t completely trash my faith. 2 Responses to Is The Jim Gaffigan Show Too Mean to Jim Gaffigan? That means a lot that I am missed! To be honest, I don’t think I could have handled this current election cycle. But thanks. 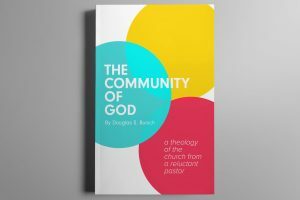 I’m finishing up a book and hopefully I can at least do a once a week podcast. Peace!